At last our snow is gone. It could snow again, but it won’t last if it does. We can seriously begin thinking about our gardens now in New Hampshire. 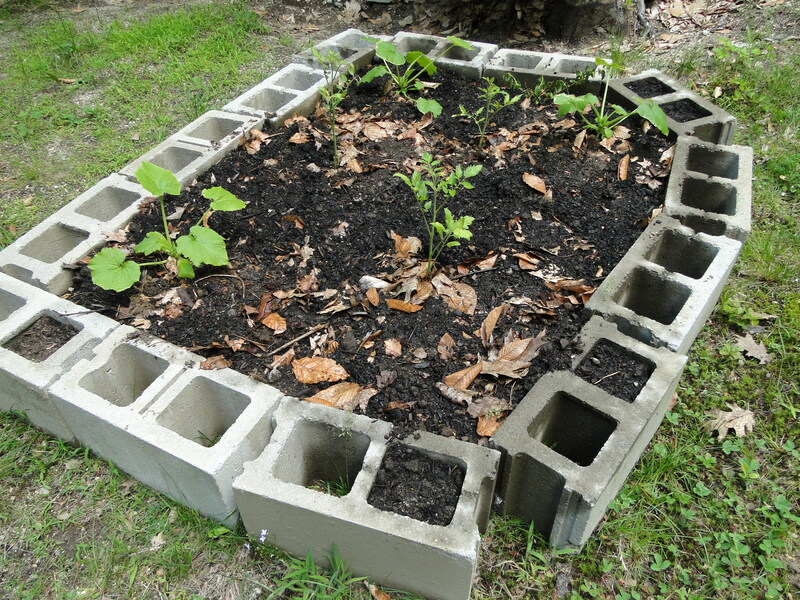 Last year I dragged these cement blocks up from the side of the house and created a raised bed. I ordered dirt from Agway and wheel-barrowed it over to fill the area. I had tomatoes and a zucchini plant in it and they did great. I will have to begin thinking about what I want to grow and where I’ll plant it. Except for cold weather crops, like lettuce, parsley and peas, I won’t be able to plant until the end of May. I added Bone Meal to the dirt in this raised bed, but I still need to order a new batch of good dirt too. Finances are a bit tight, and I won’t be buying hanging planters and such to beautify my yard, but certain things I must have to grow some (hopefully) good crops. I garden to eat healthy and save money. And I also enjoy it. I got outside the other day, when the weather was nice, and took some photos of what is coming up in the yard. I’ll share once I get them off the camera and into an organized group for my blogs.